To carry out their fundamental purposes and responsibilities, the court must have the human talent to achieve the court’s mission and vision. The court leader must work to secure, manage, educate, and motivate court staff. To do this, the court leader should have specific, technical expertise and knowledge of relevant laws, legal rulings and policies relating to day-to-day operations along with a host of human resource related skills and capabilities. The court leader, who effectively manages and motivates the workforce, should possess the skills and capabilities necessary for job analysis and classification; performance management; workforce planning; professional staff development; development and updating of compensation and benefit plans; risk management; employee relations; and organizational change management. 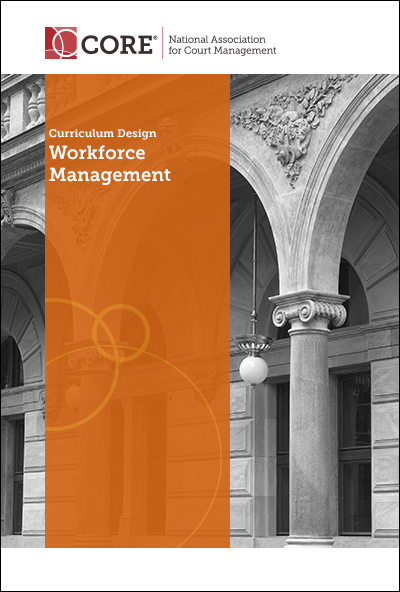 The following learning objectives are designed for a comprehensive course on workforce management. Assess the education and training needs of the court to improve staff development and performance. Identify a needed business process or organizational change and create a plan for successful change management.